In 2009, the United Nations General Assembly declared July 18 as Nelson Mandela International Day in commemoration of Nelson Mandela’s commitments and contributions to social justice, peace, and freedom. On July 18 every year, the Nelson Mandela Foundation calls on people around the world to dedicate 67 minutes towards an act of service that helps others. The 67 minutes is representative of the 67 years of Mandela’s life devoted to the service of humanity, as a human rights lawyer, a prisoner of conscience, an international peacemaker, and the first democratically elected president of a free South Africa. Mandela Day is a call to action inspired by Mandela’s message to the younger generation to take on the burden of leadership in addressing the world’s social injustices when he said, “It is in your hands now.” This day is a way to honor his life’s work and to act to change the world for the better. 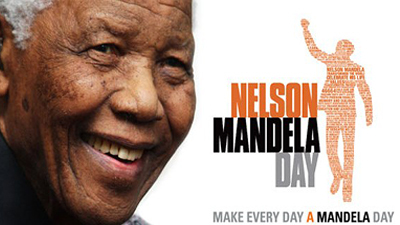 Mandela Day is an opportunity for individuals and organizations to have a positive impact in addressing societal challenges by coming together in support of the key themes set out each year for Mandela Day. This year’s themes are: education and literacy, food security, shelter and infrastructure, and the environment. By dedicating 67 minutes towards improving the lives of others, we not only honor a great man, but also recognize the power of the individual to change the world. Discovery and Vitality recognize this call to action, as it forms part of our 2018 ambition of being the best insurance organization in the world and a powerful force for social good. Our founder and CEO, Adrian Gore, claims, “We are here to change the world, not just tag along.” This commitment is evidenced in Discovery’s shared value business model, which delivers on our core purpose of making people healthier. Additionally, it creates economic value that is shared between our members, the business, and broader society. Business commitment is crucial to improving our society. While our social challenges appear unending, it is incumbent on each of us to do what we can to make a difference. So, on July 18, we encourage you to take 67 minutes to make your mark, and let it be the start of our commitment to ongoing active citizenry that improves the lives of others.